It came in the form of a single line in a court order on a related insurance coverage case involving Penn State, and its full ramifications can’t immediately be gauged. What’s interesting about this is that it became public during an insurance case in court where Penn State is seeking “to be reimbursed $60+ million it’s paid in nearly 30 civil claims pertaining to abuse by Sandusky.” The insurer claims the above incident happened. There is, however, no proof of evidence available at this time. Other sections of Glazer’s pre-trial order Thursday held that the university cannot claim coverage for Sandusky settlements for abuses started between 1992 and 1999 because of specific provisions in policies written in those years excluding claims of sexual abuse. 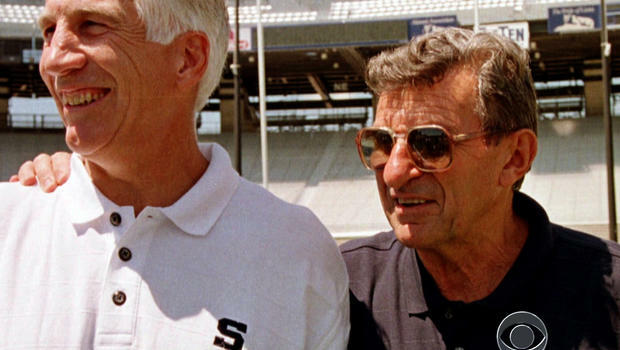 But it is the Paterno allegation that is eye-popping, because of the unending national conversation and curiosity over how much the late and legendary Penn State coach may have known about Sandusky’s actions during their lengthy careers together. i'm going to say something very technically legal and unpopular about the paterno decision, so bear with me for a few tweets. this was a motion for summary judgment; whether or not this was true didn't matter in the ultimate determination by the court. it tried to argue that the abuse wasn't in the scope of sandusky's employment and the court replied "duh. nobody gets hired to molest kids." "but he molested kids by using his influence and position as a coach at penn state, so you don't get reimbursed for your settlements"
did paterno know? idk. but this opinion only shows that the insurance company said it, which *might* mean that they had evidence but ?? ?